"'Take them out of their boxes. Just look at how beautiful they are.'... Mark Connors introduces the reader to one ordinary life, rendered universal by a quietly powerful new voice. These are place poems (a place which is invariably and unmistakably Northern) but most of all, they are people poems; bursting with humour, shining with a direct, unsentimental love. Plain speaking and at times unforgiving, the poems are not without lyricism. Their music lies in the imagery, the humour in the understatement. 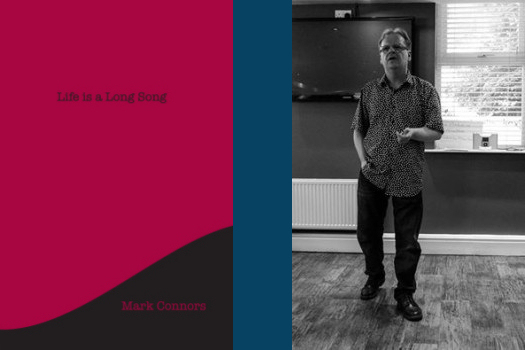 Loss and celebration in equal measure, "Life is a Long Song" made me laugh, and ache, and I loved it." The price of my publication is just £5.50, delivered to your door.